Grenada, Carriacou and Petite Martinique – Beat plastic pollution! This year’s UN World Environment Day is focusing on eliminating plastic pollution. There is good reason for this: disposal of plastic is getting out of hand! Evidence of this is everywhere: look in the nearest drain for a display of plastic bags, bottles, cutlery and Styrofoam containers. Plastic has become an “invasive species” in our ecosystems, but unlike lionfish, it cannot be eaten, and unlike sargassum, it is of no use as a fertilizer! Healthy ecosystems play a key role in climate resilience, anything that can harm ecosytems – like plastics – can affect our islands’ climate resilience! The harm done by plastic is considerable. On land, our bridges and drains are getting blocked and flooding occurs, and our roads are being damaged. If burned, cancer-causing dioxins are released that can be inhaled by neighbours. Our green spaces and public areas are lined with litter, reflecting the selfishness and lack of respect of some citizens – this is not lost on tourists. Disease-bearing rats and mosquitoes are attracted. Rainwater absorbs the toxins from plastics in landfills and pollutes the groundwater. In the ocean, the effects are shown to be worse than on land. 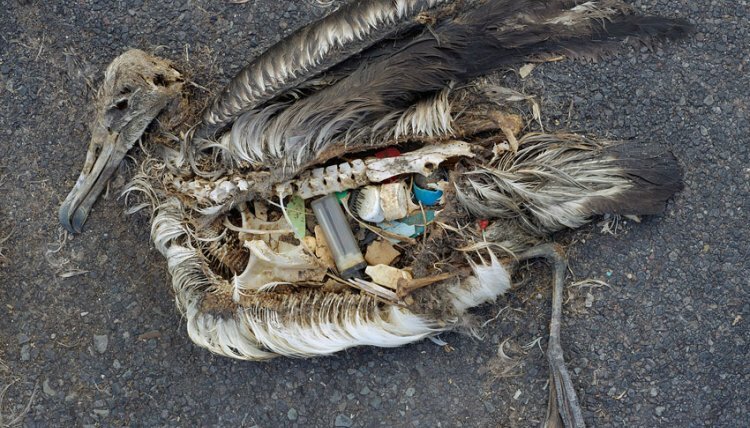 An estimated one million seabirds and 100,000 marine mammals are killed per year from ingesting plastics. The ocean makes the Earth a habitable planet, producing half of the oxygen we breathe and much of our food, quite apart from its recreational value (think tourism, fisheries, the Blue Economy). But we are taking the fish out and putting incredible amounts of plastic in, so that by 2050 there will be more plastic than fish (by weight) in the sea. It affects all levels of marine life, makes its way up the food chain, and we have reached the stage where we are now all eating and drinking plastics, with possible serious consequences to human health. We must ALL play our part to “beat plastic pollution.” Reduce, re-use, recycle, refuse. We can all refuse Styrofoam food containers. We can take our own bags when shopping. Say no to drinking straws. Make it clear to shops that you do not want Styrofoam trays. Praise shops and vendors who have found alternatives. Put small items in your bag or pocket: they do not need additional little plastic bags. Show bag packers in supermarket that bags can be filled with many more than 2 or 3 items, and bags do not need doubling if intelligently filled. We must break our addiction. It is a matter of survival. It starts with you.